Property 5: Rustic + Cozy Mountain Apartment | Lake Genos Views! Property 27: Loudenvielle Condominium mountain view 6 pers. New, comfortable. Property 33: A Loudenvielle, a lovely sunny apartment in the Residence TRESCAZES. Saint-Lary Soulan: Skiing, Hiking, Cycling, hydrotherapy. Property 39: Saint-Lary Soulan: Skiing, Hiking, Cycling, hydrotherapy. Loudenvielle, rents pleasant apartment in sunny chalet. 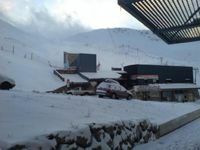 Property 43: Loudenvielle, rents pleasant apartment in sunny chalet.